As we concluded the GVEC Annual Meeting in June, one of our Board Directors ended a long and successful directorship with GVEC. After having served the membership for seventeen years, GVEC Director Dr. Tom DeKunder announced early in 2018 his intent to retire as of the end of his term. I’d like to express my personal appreciation to Dr. DeKunder for the leadership and wise counsel provided to the Board and me over the years. I could always count on him to be prepared for the issues we were facing and to give me his direct and honest feedback. As an “ole coach,” Dr. DeKunder was also the one to help us stay up on the ins and outs of our area high school athletic teams, which can be quite competitive throughout GVEC’s territory. Tom will be missed on our Board and we wish him well in retirement. Our deepest thanks go from me and from everyone at GVEC to Dr. Tom DeKunder for his many years of service to the GVEC membership. Elected by the membership to step into the position of GVEC District 9 Director for a three-year term was Mr. Gary Birdwell from Schertz. Mr. Birdwell holds an MBA in Marketing from the University of the Incarnate Word as well as a BBA in Human Resources from Stephen F. Austin State University. 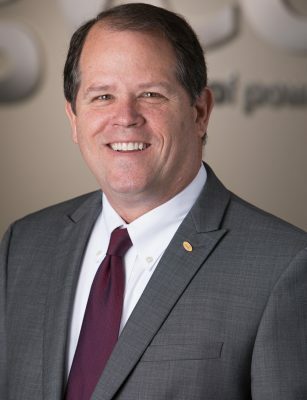 With over 34 years of insurance and leadership experience, Mr. Birdwell is currently the Senior Vice President of Service and Operations for SWBC’s Employee Benefits Consulting Group and holds multiple leadership positions on various community organization boards within the Schertz area. 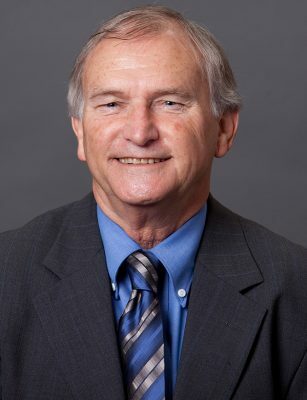 Our warmest of welcomes go from me and from everyone at GVEC to our newest board director, Mr. Gary Birdwell. I look forward to working with him in the future. For the members who were not able to attend the GVEC Annual Meeting in June, you can look forward to a full review of highlights in the August issue of Texas Co-op Power magazine. We invite you to visit gvec.org under the “About Us” section to view the 2017 Annual Report and Annual Meeting video at your convenience. GVEC’s Board of Directors has approved a return of $4.2 million in capital credits to members for 2018. Capital credits are a feature of the unique Cooperative business model and just one benefit to membership. It is always a pleasure when we can return money back into the hands of our hard-working members. Be looking for your bill credit or check during the month of July. I am always interested in your comments and feedback. Contact me by phone at 830.857.1152, by email at dschauer@gvec.org or by mail at P.O. Box 118, Gonzales, Texas 78629.